West Ham made a number of signings during their season of struggle in the Premier League and, as a result, they were left with a mishmash of players who had been recruited by completely different regimes. David Moyes was given carte blanche to add to his squad in January and the former Everton boss added Championship striker Jordan Hugill to his side. However, the Teessider barely got the chance to show his worth in the top flight and has since been sent out on loan to his hometown club, Middlesbrough. Unfortunately, the 26-year old hasn't impressed the fans and is struggling to find his feet back in the second tier. 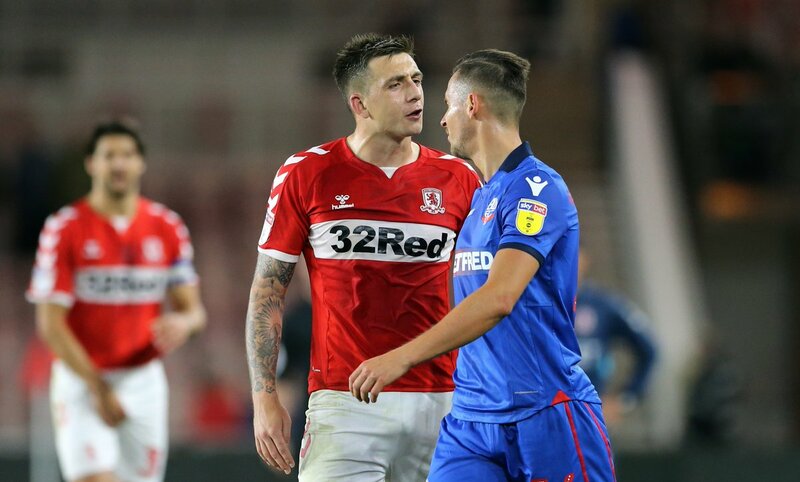 Hugill is yet to hit the target in the league in a Middlesbrough shirt and his last league goal came against his current employers on New Year's Day. His Preston side were beaten 3-2 by the Teessiders but he managed to fire in his eighth goal of the campaign before sealing his move to the top tier just days later. He played just 22 Premier League minutes for the Hammers with three appearances from the bench coming against Watford, Brighton and Southampton. There are just 25 players in West Ham's squad including injured duo Jack Wilshire and Andy Carroll. Despite having a relatively slender roster by Premier League standards, Hugill was deemed surplus to requirements this season and was sent north to secure some valuable game-time. He has played seven times in the Championship and is yet to get off the mark. He did find the net in his side's EFL Cup victory against League One Rochdale at the end of August but he still has a long way to go in order to win over the home support. 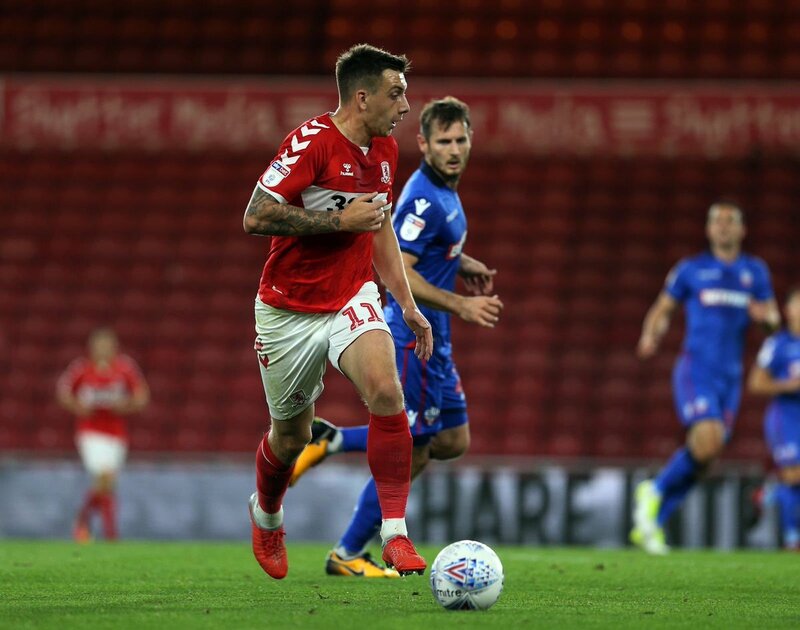 Some fans were left frustrated by Hugill's inability to stay on his feet during his side's disappointing 2-0 defeat to Nottingham Forest at the beginning of October. During his seven Championship outings, he's played a full 90 minutes just once and the patience and goodwill of supporters is beginning to wear thin. Despite his struggles, Hugill is likely to benefit from playing first-team football on a weekly basis. His opportunities would be heavily restricted if he had chosen to remain at West Ham this season with just a handful of cup appearances a likely outcome. He is on a season-long loan to Middlesbrough and his parent club are likely to allow him to play in the FA Cup for Tony Pulis' side. The competition is already underway but sides from the top two tiers do not enter until January and it represents West Ham's best chance of securing some silverware. Manuel Pellegrini's Manchester City were beaten by Middlesbrough in the competition in 2015 but he is a manager who always vows to take the competition seriously. West Ham are 33/1 to lift the trophy this season with the Chilean's former employers Manchester City priced up as 4/1 favourites in the FA Cup betting. There is still plenty of time for Hugill to recapture the kind of form which persuaded David Moyes to spend £8million on the striker and he is due a slice of good fortune at some point. With a summer spending spree taking place at the London Stadium, the 26-year old is unlikely to get an opportunity to shine in the Premier League and he is likely to return to the Football League on a permanent basis, sooner rather than later.